A majority of PK-12 teachers are White, middle-class woman who speak only English (National Center for Education Statistics [NCES], 2012); many of these teachers report a lack of confidence to adequately meet the needs of a diverse classroom of students (Hollins & Torres-Guzman, 2005), particularly those with background different from that of the teachers (Helfrich & Bean, 2011). The perceived lack of preparedness to serve diverse students, whether factually based or not, has been attributed to poor training provided by teacher preparation programs (Cho & DeCastro-Ambrosetti, 2005). 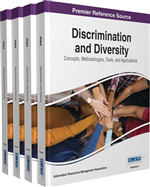 This chapter suggests that teacher preparation programs, regardless of geographic location and demographics of their teacher candidates, model a spirit of inclusivity and be intentional in offering an integrated approach to preparing teacher candidates to be highly-effective in working with all students regardless of diversity represented. Today’s beginning teachers need to be prepared for the a diverse body of students representing demographics that may look like the following: “25% live in poverty; 10% to 20% have identified learning differences; 15% speak a language other than English as their primary language and about 40% are students of color” (Darling-Hammond, 2006, p. 301). The National Council of Accreditation of Teacher Education (NCATE) states that teacher education programs’ conceptual framework should clearly state an intent to prepare teacher candidates to provide instruction based on the needs of students; in addition, there must be a demonstration of knowledge, dispositions, and skills related to diversity, integrated across the curriculum, instruction, field experience, clinical practice, assessments, and evaluations (NCATE, 2010). Although trends are somewhat different from region to region and state to state, national projections indicate that by 2050 the ethnic and racial minority groups in our schools today, will be the majority (U.S. Census Bureau, 2008). For example, of the 20 largest school districts in the U.S., 18 consist of less than 50 percent White students (Aud, Fox, & Kewal Ramani, 2010). In addition, students of color are consistently increasing; between 2000-01 and 2007-08, the percentage of White students enrolled in public schools decreased from 61 to 56 percent; during the same time period, Black and American Indian/Alaskan Native student enrollment remain unchanged (17% and 1%, respectively); Hispanic enrollment increased from 17 to 21 percent; and Asian/Pacific Islander enrollment increased from four to five percent (Aud, et al., 2010). Socioeconomic diversity is also a consideration; in 2009, 48 percent of public school fourth graders were eligible for free or reduced-price lunches, representing 77% Hispanic, 74% Black, 68% American Indian/Alaskan Native, 34% Asian/Pacific Islander and 29% White (Aud, et al., 2010). Lastly, there is a representation of increased diversity in languages spoken by students entering classrooms. In 2002, Kindler reported that approximately 450 languages were represented by students enrolled in public schools in the U.S.; it is important to note that it is likely that numbers are much greater today. For example, the number of Spanish speaking English Language Learners (ELLs) is expected to continue to rise (Fry & Gonzales, 2008) with 80% of ELLs speaking Spanish as the first language (Gandara & Rumberger, 2009). It has been reported that within the 13,900 school districts in the U.S., in 2007, 69% of Hispanic students and 64% of Asian elementary/secondary school students spoke a language at home other than English (Aud, et al., 2010).